The Oaks Aster Tiffany 1 Light Ceiling Light Pendant is in a pretty blue-edged Tiffany design. The Oaks Border Small Ceiling Light has a Tiffany shade with a vibrant, floral design. The Oaks Border Large Ceiling Light has a Tiffany shade with a vibrant, floral design. The Oaks Butterfly Ceiling Light Pendant is a pretty, delicate Tiffany design. The Oaks Butterfly Uplighter Ceiling Pendant is a pretty, delicate Tiffany design. The Oaks Caius Ceiling Light has a colourful glass shade with a scalloped edge. The Oaks Camillo Tffany Ceiliing Light Pendant is in a square design with red flowers. The Oaks Camillo Flush Tffany Ceiliing Light is in a square design with red flowers. The Oaks Flite Tiffany Ceiling Light Pendant has a bold, colourful leaded glass shade in true Tiffany style. 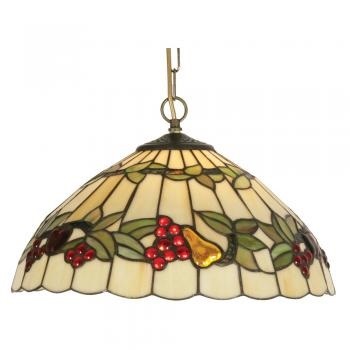 The Oaks Flute Tiffany Ceiling Light has a Cream glass shade with Amber and Red glass buttons. The Oaks Fruit Large Tiffany Ceiling Light has a colourful fruit and foliage design. The Oaks Grape Tiffany Ceiling Light features vibrant Red bunches of grapes. The Oaks Grapes II Tiffany Ceiling Light is decorated with grapes and vine leaves. 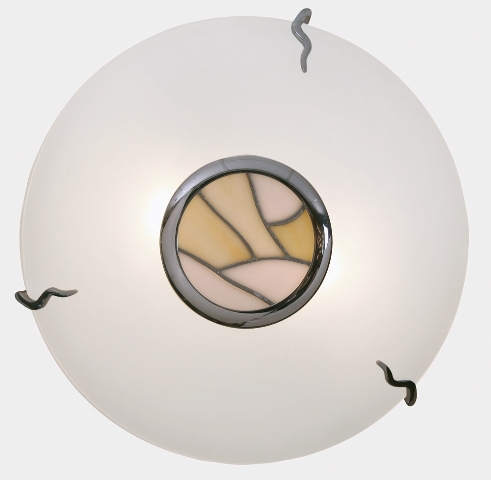 The Interiors 1900 Hutchinson Tiffany ceiling light pendant uses Mackintosh inspired roses and flowing lines. Luxury Lighting supply Tiffany ceiling lights in modern, classic and traditional designs. We offer an array of Tiffany ceiling lights in many different styles and colours from a simple pattern to the more bold colourful design. Tiffany ceiling lights come in many styles, designs and sizes to suit your room. Tiffany ceiling lighting creates a comforting mood in the home and give a softer light tone in the room. Tiffany ceiling lights has been around for many years and will be for many more to come. View the full collection we can offer online today, suppliers of quality Tiffany ceiling lights to suit all styles and budgets.